Several previous entries in this blog from 2010 (beginning here), described U.S. Environmental Protection Agency (EPA) regulations under the Toxic Substances Control Act (TSCA) that may cover the use of certain genetically modified microorganisms in biofuel or bio-based chemical production. In one of these posts, I briefly listed and summarized several MCANs that had been filed up to that point, covering novel microorganisms intended for use in fuel production, as well as those covering microbes engineered to produce novel enzymes. In a post earlier this year, I described several additional biofuel-related MCANs that had been filed since the time of my earlier posts in May 2010, and in today’s entry I’ll describe four new MCANs that have been recently added to the list on EPA’s website. To summarize my prior blog entries, the TSCA Biotech Rule covers certain modified microorganisms, specifically those containing deliberate combinations of coding nucleic acids derived from more than one taxonomic genus, but only when those organisms are used for commercial purposes not regulated by other federal agencies. The use of microorganisms or algae to produce ethanol, butanol, biodiesel or other biofuels is an industrial application that falls under TSCA jurisdiction. Most R&D uses of such organisms would be exempt from MCAN reporting, and there are also commercial exemptions available for certain host organisms such as E. coli or S. cerevisiae, as described in my previous posts. Company Confidential. MCAN J13-0001. Identify of microorganism claimed as confidential. To be used in enzyme production. Received November 27, 2012. EPA has also received MCAN filings for genetically modified microorganisms where the organism itself is designed for use in production of ethanol or other fuels. The following are the most recently filed MCANs listed on the EPA website that cover such production organisms. Company Confidential. MCAN J12-0007. Modified strain of Saccharomyces cerevisiae for use in ethanol production. Received April 26, 2012. The nature of the genetic modification has not been publicly disclosed. Company Confidential. Consolidated MCAN Numbers J13-0003 through J13- 0006. Received January 11, 2013. This “consolidated” MCAN filing covers four different, but related, strains of Saccharomyces cerevisiae, modified for use in ethanol production. Notice of Commencement filed for two of the strains April 18 and April 20, 2013. The strains have been modified to express a heterologous protein whose identity has been claimed as confidential. Novozymes North America, Inc. MCAN J13-0008. 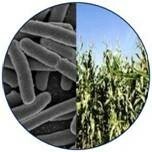 Received April 16, 2013, Modified Saccharomyces cerevisiae strain to be used in ethanol production. The recipient strain has been modified to express genes encoding enzymes, the identities of which have been claimed as confidential. As I noted in my January 2013 post, it is interesting that these MCANs have been filed for modified strains of S. cerevisiae, since such strains could conceivably qualify for the tiered exemptions available under the TSCA biotechnology rule and would therefore not need MCAN filings. The likeliest reason that these companies decided to fie MCANs rather than rely on the exemptions was to facilitate the use of the strains by third parties such as partners or licensees – in fact this rationale is explicitly mentioned in one of the new MCANs, MCAN J13-0008. Once an MCAN for a new microbe is cleared by EPA, the applicant and any third party can use the new microbe for any purpose under any conditions, whereas the Tier I and Tier II exemptions require users of the microorganism either to adhere to strict containment conditions (under the Tier I exemption) or obtain EPA approval of containment provisions (under Tier II). As more technology developers adopt licensing as a business model, I expect we’ll see an increasing number of MCANs filed for this reason, to facilitate third party use, even for microorganisms that might otherwise be eligible for an exemption. Note that MCANs are reviewed by EPA, but no formal “approval” is needed. If the Agency does not identify any unusual risks or any reason to extend its review during the 90 day review period, the MCAN is deemed to be cleared (or “dropped from review” in the terminology used at the EPA website) and the applicant can proceed to commercialization. Once an MCAN is dropped from review, applicants must submit a Notice of Commencement when commercial use (or importation) of the subject microorganism is to begin, and as can be seen from the above, some, but not all, of the microorganisms covered by these MCANs have yet progressed to commercial use. Finally, it is interesting to note the growing number of MCANs that have been submitted to EPA in recent years. MCANs are numbered consecutively by fiscal year, and although there are some gaps in the public listing (which includes only those MCANs whose reviews are complete), one can simply look at the highest-numbered MCAN in each fiscal year to see how many MCANs have been filed in that year. A rigorous analysis of the trend is hard because the low sample size in many years creates statistical noise, and is further complicated by the “consolidated” MCANs that were filed in 2007 and 2013 (should these each count as one MCAN or several?). However, it seems clear that there has been a significant uptick in MCAN submissions beginning in fiscal year 2011. This increase is clearly attributable to the growing importance of the biofuel sector (particularly the use of modified microorganisms for fuel ethanol production), and in the common strategy of filing MCANs for otherwise-exempt organisms to facilitate third party use. For those of us who have worked in industrial biotech regulatory affairs for some time, it is interesting to see how the EPA TSCA biotech program has grown in importance due to the growth of the biofuel and bio-based chemical sectors of the industry. D. Glass Associates, Inc. is a consulting company specializing in government and regulatory support for renewable fuels and industrial biotechnology. David Glass, Ph.D. is a veteran of over thirty years in the biotechnology industry, with expertise in industrial biotechnology regulatory affairs, U.S. and international renewable fuels regulation, patents, technology licensing, and market and technology assessments. Dr. Glass also serves as director of regulatory affairs for Joule Unlimited Technologies, Inc. More information on D. Glass Associates’ regulatory affairs consulting capabilities, and copies of some of Dr. Glass’s prior presentations on biofuels and biotechnology regulation, are available at www.slideshare.net/djglass99 and at www.dglassassociates.com. The views expressed in this blog are those of Dr. Glass and D. Glass Associates and do not represent the views of Joule Unlimited Technologies, Inc. or any other organization with which Dr. Glass is affiliated.